It is not often that we get the chance to work on a project that brings together all the elements we believe are crucial to the sustainable restoration of our planet; education, restoration, community ownership and corporate responsibility. Grow Zambia! is such a unique hybrid project, made possible by an Innovation grant from Expo Live, the innovation fund of the World Expo 2020 in Dubai. 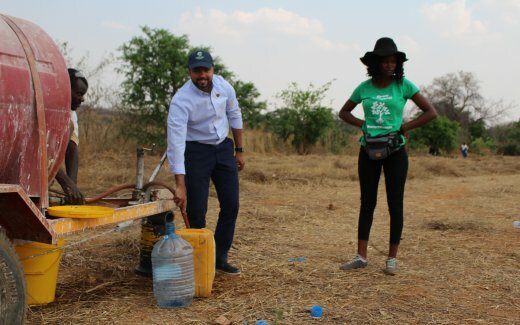 Applications had to present innovative solutions that “connect minds and create a better future”, and we were honoured that our project proposal for Grow Zambia! was selected as one of the winners from hundreds of applications from all over the world. 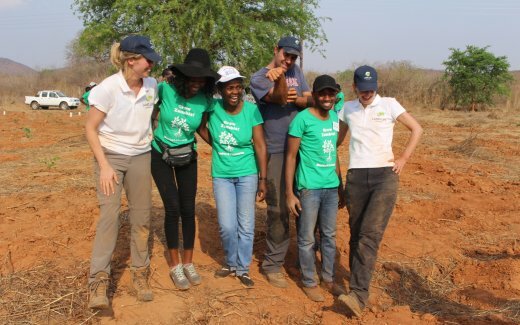 In October of this year, the Land Life team traveled to the stunning Southern African nation of Zambia to kick off the program which brings together diverse stakeholders to restore degraded community and mining land and create opportunities for Zambia’s next generation. 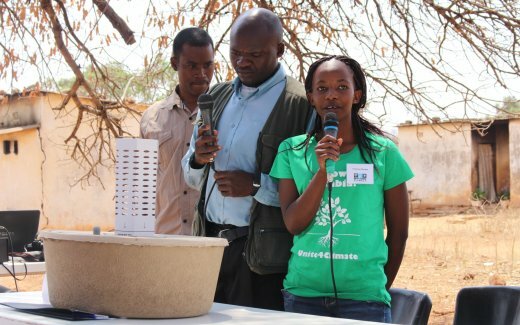 During the Masterclass workshop in Kafue, young Climate Ambassadors from the UNICEF environmental program Unite4Climate and their teachers came from all over the country to take part in an interactive education program about the dangers of deforestation, the opportunities for land restoration and the benefits of sustainable and efficient planting technologies like the Cocoon. During a Public Speaking Challenge we were inspired by the eloquence and passion of these young climate heroes as they spoke about their concerns and hopes for the future of their country. The next day the Climate Ambassadors and Land Life team traveled to the rural village of Chokola where we were joined by local dignitaries, government officials, local villagers, schools and press to celebrate the start of the restoration project with the Cocoon. After the speeches it was time to roll up our sleeves and get planting! 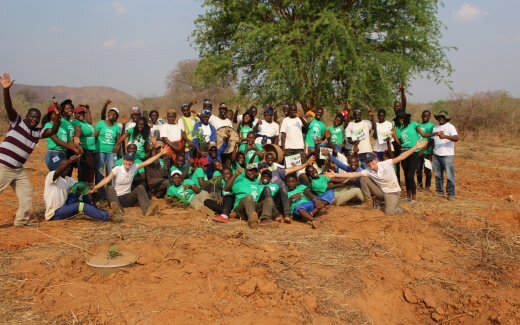 The ambassadors, paid local workers and even our sponsor Yousuf Caires from Expo Live in Dubai joined in and planted trees on the degraded mining land until the sun started to go down. Throughout October, 3.000 native trees were planted with the Cocoon on 10 hectares of land in and around the Munali mine and neighbouring villages. The trees – fi g, acacia and the mighty baobab – will regenerate these degraded soils, provide shade and shelter and cooling the environment. A further 4,000 trees will be planted in the year ahead. UNICEF’s Climate Ambassadors and teachers will ensure this program lasts beyond the workshop and hands-on training in Kafue. Through the UNICEF Unite4Climate program, these inspiring young people will bring their learnings to classrooms across the country, teaching other students about the power of trees and sustainability. As 70% of Zambia’s population is below 25, involving young people is essential to building a greener country. One thousand Cocoon trees will be planted in Zambian schoolyards in the year ahead and the educational toolkit will equip 10,000 children to become environment ambassadors in their communities.